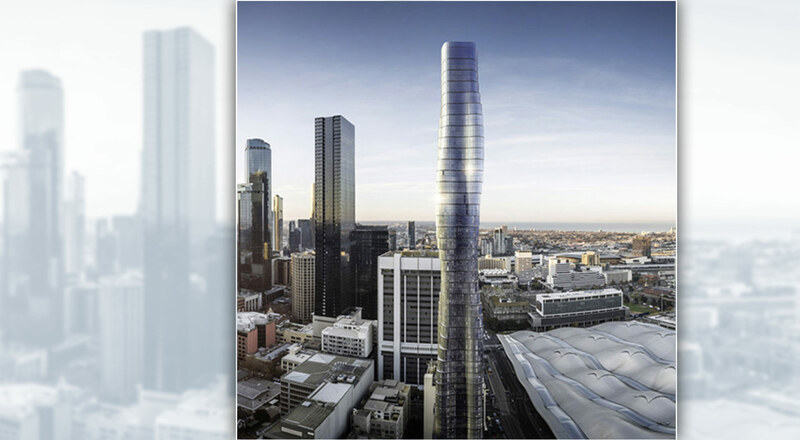 A skyscraper inspired by Beyoncé’s curvaceous silhouette is the latest proposal from architectural firm Elenberg Fraser, who plan to erect a building in Melbourne which could become a place of ‘pilgrimage’ for the singer’s fans. The idea is to build a 78-storey skyscraper reflecting the artist’s famous slender figure. The building design takes inspiration from one of Beyoncé’s most original videos, ‘Ghost’—a short lasting a little over two minutes which, in fact, forms the first part of the song ‘Haunted’. During the video, the singer is seen dancing encased in a tube of material which, courtesy of a wind machine, undulates and accentuates her curves. ‘The complex form—a vertical cantilever—is actually the most effective way to redistribute the building’s mass, giving the best results in terms of structural dispersion, frequency oscillation and wind requirements’, explain Elenberg Fraser, architects of the building which aims to combine both art and science.